After a nice bike ride in sunny Bay Head, New Jersey, Rex took the girls and me on a shopping trip to The W.A.S.P. on Bridge Avenue and The Bee (just moved to a new, bigger location) on Route 35. The girls made out like bandits at The W.A.S.P., picking out “twin” bathing suit sets as well as three or four new outfits each. Their mom didn’t do too badly either…I found a nice white pinstripe suit at The W.A.S.P. and a hot midnight black and white wide strip tank dress at The Bee. We are ready to start stepping out for the summer season here in Bay Head, New Jersey. 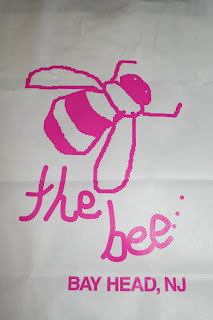 Tags: The Bee, The W.A.S.P.